When Mac several applications are running, with many windows open, it is difficult to manage the chaos and to work productively. Manually switching between windows and placing them on the screen wastes a lot of time. 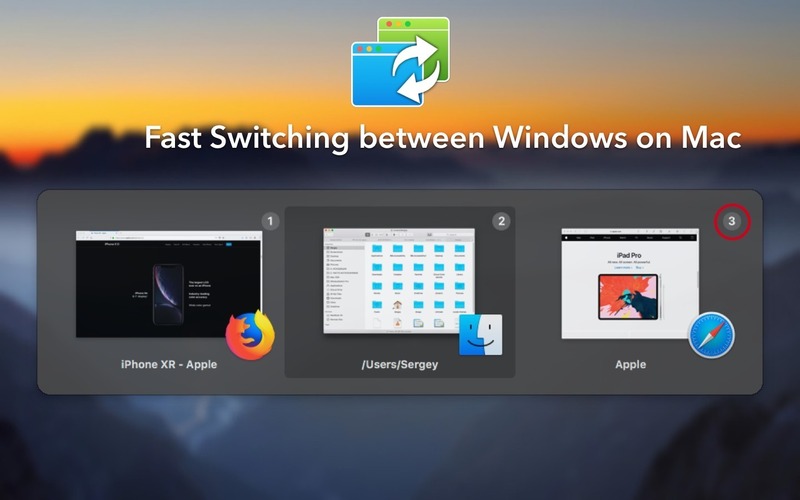 WindowSwitcher provides several tools to quickly switch and manage Mac desktop windows. WindowSwitcher transforms the chaos of a messy desktop into neatly arranged windows, where one can easily see all the information in an organised display. Fast Switching: Using the Command + Number key, you can easily switch to windows without pressing many keys. Manage Windows with Ease: WindowSwitcher allows you to easily manage your window positions and sizes with one click. Also, with WindowSwitcher, you get full control over any opened window – you can close, minimize, maximize, restore any window. WindowSwitcher also lets one use gestures to move and resize windows. For example, swipe with two fingers, from right to left, to place a window on the left of the screen and resize to 1/2 of the entire screen. Another example, Swipe down – minimizes the window, up – de-minimizes or minimizes the window to full screen. Convenient View Options: WindowSwitcher has several options (layouts) for displaying a list of open windows. You can use the one that you like more or suits your work style. Command-Tab Replacement: WindowSwitcher allows you to configure hotkeys so that WindowSwitcher is activated instead of the built-in default Mac’s Command-Tab App Switcher.